George Clooney reportedly has the final say on wife Amal’s outfit choices. The 53-year-old actor wed 37-year-old British lawyer Amal back in September last year in Italy. And since then, George has apparently taken it upon himself to ensure that his bride is impeccably dressed for all occasions. Despite only having been in the spotlight for a matter of months, Amal has made a name for herself as a fashion icon. Notable outfit choices include the elbow-length gloves she paired her Oscars dress with at the Academy Awards earlier this year. 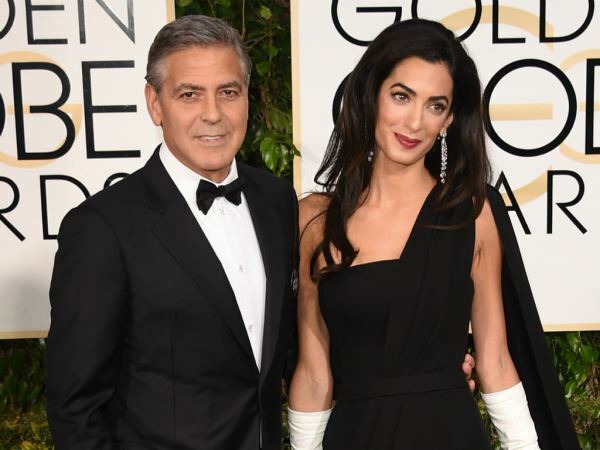 According to the source, George has gone to extreme lengths to ensure Amal has all the equipment she needs to ensure she never puts a foot wrong in the style stakes. As the wife of one of the world’s most famous actors, Amal has designers falling over themselves to dress her. As such, her wardrobe is fit to burst with stunning ensembles from names including Oscar de la Renta, Dior and Alexander McQueen. And as any woman would be, Amal is apparently thrilled with her husband’s additions to her dressing room.